Andros is the largest island in the Bahamian archipelago (104 by 40 miles) with a population of 7,386 people, and was once home to the infamous pirate Henry Morgan. Famous as the bonefishing capital of the world, it now attracts a different kind of tourist. With the 3rd largest barrier reef on the planet plus some of the world’s deepest blue holes, it’s a paradise for divers as well as sports fishermen. Free of large-scale commercial development, Andros boasts unspoilt subtropical forest that provides shelter to many species of birds and types of orchid. Nature is at the heart of this island, and it is an ideal location for those who enjoy all the wonders that nature provides. From kayaking in the mangroves, wreck, reef and blue hole diving, birding watching and nature walks, Andos Island is an unforgettable retreat. 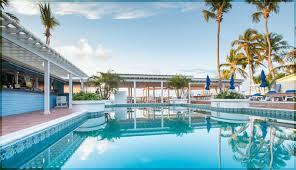 Many scheduled and charter flights operate a daily flight and sea service to Andros from Nassau and the Florida Cays. So getting to the island is hassle free. Andros provides the perfect backdrop for a romantic wedding setting and many couples opt to get married here because of its unspoilt beaches and boutique style resorts, which are just steps away from the beach and continues to be a favourite amongst honeymooners or those just wanting to get away from it all. Most of the major towns in Andros are scattered along its northeastern coast. Heading south, the settlements become more remote and are well worth a visit for palm-fringed beaches, handcrafted authentic Bahamian goods, exotic fruits, and warm and friendly locals. Don’t miss an opportunity to tour the Batik factory in Andros Town, a family owned business operating for over 40 years, where you can purchase hand made fabric and clothing for men, women and children in an array of vibrant colours.